With as many active players as the population of Germany, the Honour of Kings mobile game will likely help boost Tencent's quarterly revenue by about 50 percent, shrugging off play-time curbs imposed by the firm to address addiction woes. 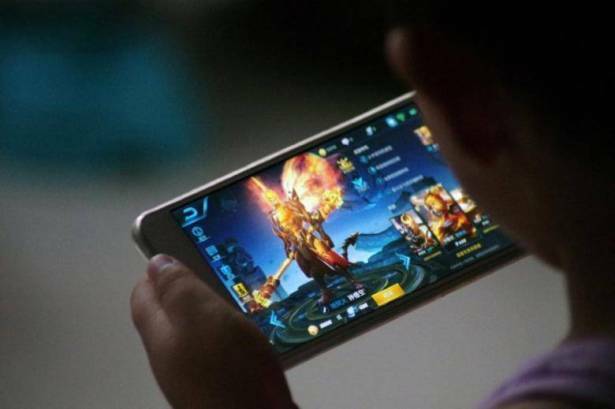 The fantasy role-playing game based on Chinese historical characters has became so popular that Tencent had to introduce curbs on play time last month amid reports of serious addiction among children. But the restrictions have spawned gray online markets in game accounts, snapped up by younger players trying to find a way to get around the limits. The growth momentum in China is expected to continue as Tencent taps the 938 million users of its WeChat messenger service. The tech giant, which will report second-quarter results on Wednesday, has wider global rollout plans for the smash-hit game but there are concerns it may not be able to replicate the popularity in some overseas markets. "Asian markets have better outlook. U.S. and EU would still be a longer-term endeavor. I think culture is a major reason," said Bocom International analyst Connie Gu. Tencent is expected to launch Honour of Kings, which boasts of some 80 million active daily players, in the United States as early as this year, having released variants of the game under different names in markets including Taiwan, Thailand, South Korea, Vietnam and Europe. "We are conservative for the time being on U.S. revenue in our model. Overseas expansion for Chinese gaming publishers is still difficult, there are few success examples," Gu said. Tencent, the world's largest gaming company, is expected to report a second-quarter revenue of 52.98 billion yuan ($7.9 billion), up 48 percent from a year ago, according to an average forecast from 10 analysts polled by Thomson Reuters. Smartphone games revenue is likely to surpass that from PC games for the first time and account for nearly 30 percent of the total. Tencent's profit over the quarter is expected to rise 31.8 percent to 14.15 billion yuan. Tencent is also expected to log big jumps in advertising revenue, driven by social advertising, and mobile payment business on WeChat app's growing user base and China's rapid adoption of the cashless lifestyle. WeChat, China's most popular messenger app that comes with the mobile payment function WeChat Pay embedded in it, had 938 million users at the end of March. "We believe Tencent, as the largest mobile ecosystem by traffic in China, has far-reaching monetization potential as incremental ad budget moves to mobile," Jefferies analyst Karen Chan said.